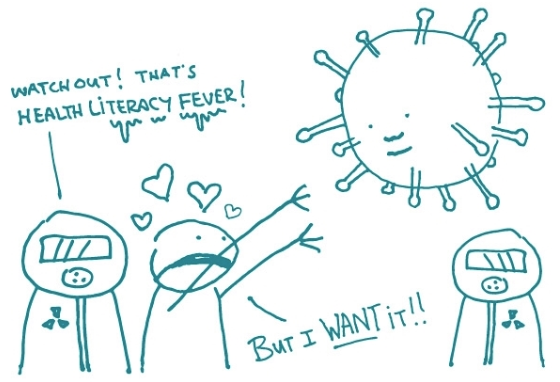 You’re at risk for health literacy fever. Wait, are you? 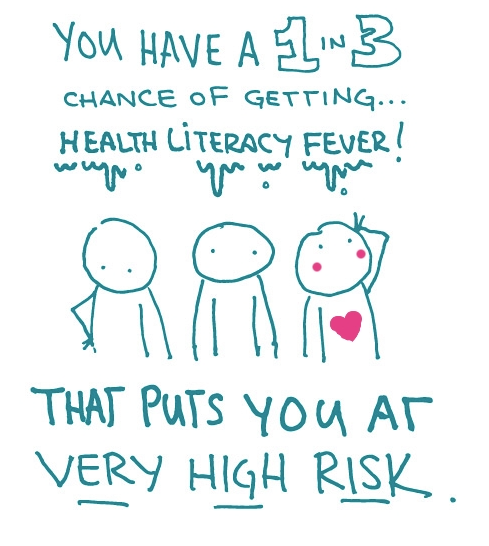 If we told you that your chances of getting health literacy fever are 33%, would you be concerned? What if we said you have a 1 in 3 chance of coming down with the fever? Would that make a difference? We know that people struggle with numeracy. And that creates a big challenge for health communicators. Throw probabilities, fractions, and percentages into the mix, and it only gets worse. People tend to understand frequency expressions (like “1 in 3”) better than percentages, so that’s a good place to start. But even then, people may have a hard time getting meaning from numbers alone. The bottom line: Pay attention to numeracy — use simple numbers, offer context in words, and use visuals to drive the meaning home.